We all have came across frustrating and poor customer service from dealers and especially the bike service centers. We save money for months and years and we are so passionate about our bikes but the guys in the service centers treat our babies like junk. We would feel like slapping him on the face but he can hurt our bike so we don’t do it. And we do not raise a voice later because we are just too busy with our lives. Recently I bought a Honda Activa at a showroom in Bangalore. It was due for the first month’s service and I visited their service center which was 1km away from their showroom. The entire service center was not maintained well and they were parking the bikes on the road with a temporary room extended from their main building. I should have said NO. But I didn’t. Things would have been well and good if they did a good service and gave the bike back in a good condition. When I came back in the evening, I got the invoice. I was shocked to see that the bill for teflon coating for Rs.400 was not in the main retail invoice in which they had billed for Rs.250 for oil. What they should have done was 1. Include the teflon coating bill in the main invoice which had the TIN number and service tax number and charged for a total of Rs.650. But I got 2 bills. The bill for the teflon coating was from some other local provider which had no TIN number, no service tax number and NO SIGNATURE! They just stapled it with the main invoice and charged me for a total of Rs.650. They probably spent Rs.50 or Rs.100 on a cheap teflon coat and charged me for Rs.400. I was tired after a whole day at the office and I just wanted to go back home. I did not utter a word. Then the second shock came when I looked at my bike. There were smudges all over and the speedometer dial’s glass top was all foggy and unclear. I still didn’t utter a word. I was thinking while riding back home. I realized that this is not the mistake of the service center. Or their greed. There are good services centers, yes, but not being good is not the crime. In this situation who is to blame? They provide a poor customer service and charge unethically because THEY CAN! I realized that they CAN because no one complains. THE REAL PEOPLE TO BLAME ARE THE HUNDREDS AND THOUSANDS OF CUSTOMERS WHO PREVIOUSLY DEALT WITH THEM AND ACCEPTED THEIR POOR SERVICE. They didn’t raise a voice. And guess what, even I didn’t raise a voice, at least in that moment. As long as we allow people to provide poor products or services, they will. Especially the ones in monopolistic advantage. I took a picture of the bill and sent it to Honda customer care via their website. Today I got a call from the regional manager of Honda that they are looking into the matter and will take appropriate action against them. They next time when they produce a cheap, tampered invalid bill, they will think twice. If enough customers complain, Honda will revoke their dealership and license after enough warnings. And this is how to deal with poor customer service. People will feed you SH** as long as you don’t scream. 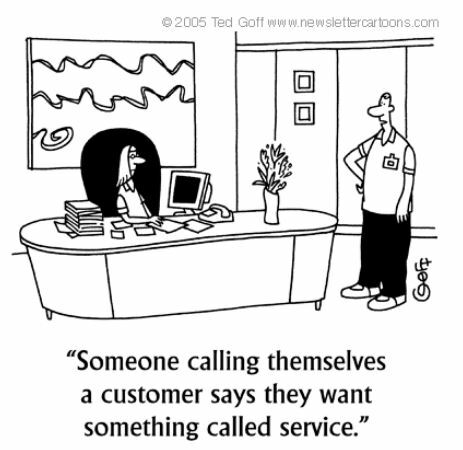 If anyone is not providing a good service as a business, they are doing it because we let them to be. We are the ones to blame. The next time you encounter poor customer service, not only in bike service centers but anywhere in the market, raise a voice. Spend a few minutes on DOING SOMETHING about it. We will all be grateful for you. And we will do the same for you! For a better world, with better services. Amen.